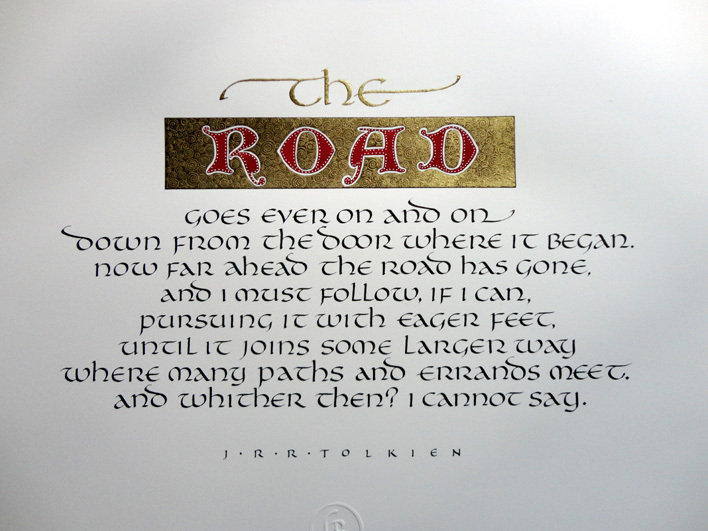 This is one of Bilbo Baggins song. 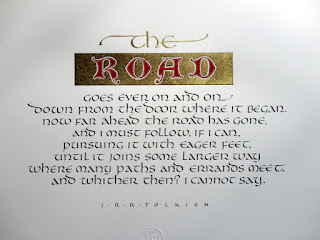 It was in both Tolkien novels The Hobbit and Lord of the Rings. 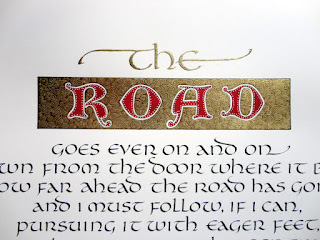 I chose on purpose to use a similar style of simplified Uncial used in the film LotR. The spirals symbolise the road going "ever on and on". 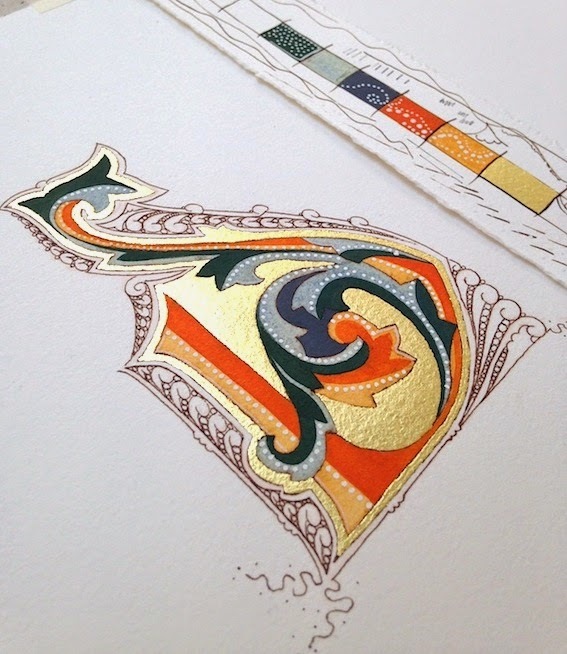 Korean stick ink, Brause nibs, designers gouache, pen-white, 23ct gold leaf and hand tooled spirals, metal nibs & brushes on 300gsm Arches hotpress paper. Lovely work, as always, Gemma. Wicked cool all the way around! 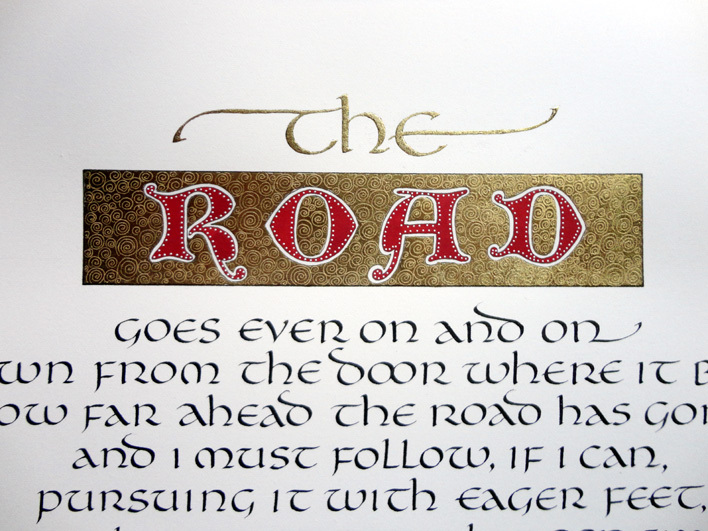 Being myself keen on both Tolkien and illuminated manuscripts, only can say: brilliant. Thanks Thomas and thanks too Fergus! 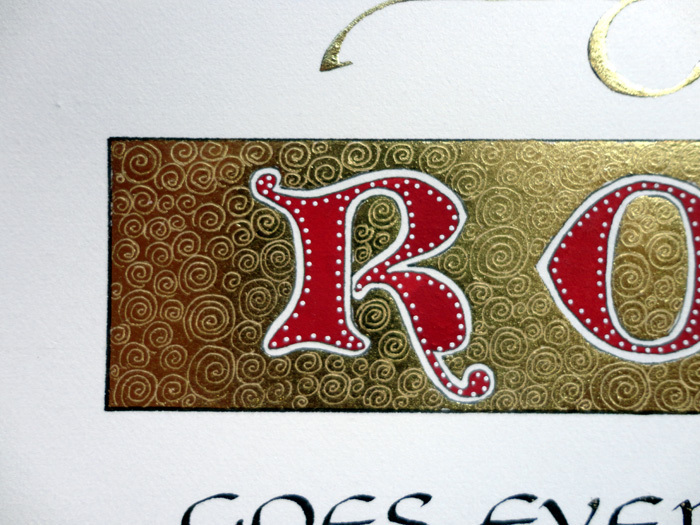 It was a sweet piece to work on for the client.